Niagara and North Bay met six times during the regular season. 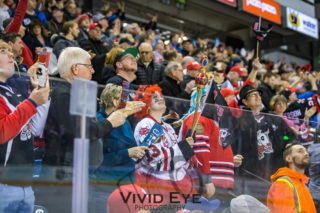 The IceDogs played their second home game of the regular season against the Battalion, where they won 6-1. The ‘Dogs fell in a November home and home to the Battalion, both by a score of 4-3. The IceDogs bounced back on December 8th with a 5-2 win on Teddy Bear Toss night. To finish the season series, Niagara travelled to North Bay twice, bringing home two big wins. The first, coming on March 1st, was a 6-4 win. Then, on March 17th, with the Central Division title on the line, the IceDogs burst out with an 8-3 win. 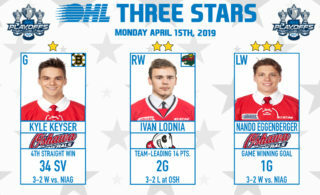 In the six games, 2019 NHL Draft eligible forward Philip Tomasino scored three goals and finished with 11 points, while Bradey Johnson scored 4 goals and collected 3 assists. Kirill Maksimov had 5 goals. Elijah Roberts led all IceDogs defenceman with 5 points (2 goals, 3 assists). Comparatively, Justin Brazeau scored 3 goals, and finished the season series with 11 points, while Matthew Struthers had 3 goals and 4 assists. In the playoffs, special teams play a significant part of a teams success. Over the course of the regular season, the IceDogs’ power play came to life with the additions of Jason Robertson, Jack Studnicka and Matt Brassard. To end the season, Niagara’s power play was ranked 2nd with a 28.1% efficiency rating. North Bay’s power play ranked 6th with 24.2% efficiency. In the latter half of the season, Niagara’s penalty kill became much more effective from the start of the season, finishing with an efficiency rating of 77.1%. The Battalion’s penalty kill was efficient 77.6% of the time. The matchup between the pipes, as always, will be key to our success. It is expected that it will become a battle between the starting net-minders, Stephen Dhillon and Christian Propp. Dhillon, who finished the season with 40-11-7-0 record, had a 2.97 GAA, and a 0.909 save percentage, in 58 games. Meanwhile, Propp finished with a 3.98 goals against average and a 0.893 save percentage in 51 games played, and a record of 24-23-2-0. The goaltenders will be tested strongly by each teams’ leading scorers. Three IceDogs finished in the leagues’ top 10 in total points this season, each with over 100 this season. After being acquired from Kingston, Jason Robertson finished the season with a career-best 48 goals, 69 assists (117 points). Robertson became the first IceDogs player to be awarded the Eddie Powers Memorial Trophy as the top scorer in the league. Meanwhile, Akil Thomas (38 goals, 64 assists) and Ben Jones (41 goals, 61 assists) finished with 102 points (22G, 59A). Jack Studnicka set a career high of 83 points this season, with 36 goals, 47 assists, finishing 17th in league scoring. Battalion leading scorer Justin Brazeau, finished 4 points behind Robertson in the scoring race, with 113 (61 goals, 52 assists). Matthew Struthers was the next highest scoring Battalion player, with 81 points (31 goals, 50 assists). 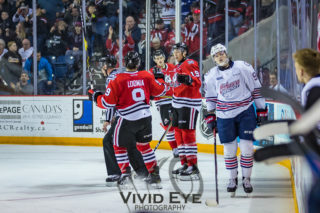 Heading down the stretch into the post-season, the IceDogs finished with an 8-2-0-0 record in their last 10 games, while the Battalion finished with a 4-6-0-0 record in theirs. 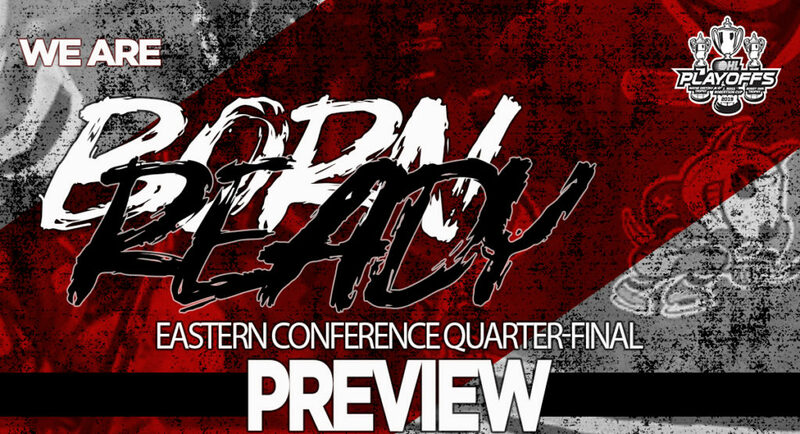 Playoff tickets are now on sale! 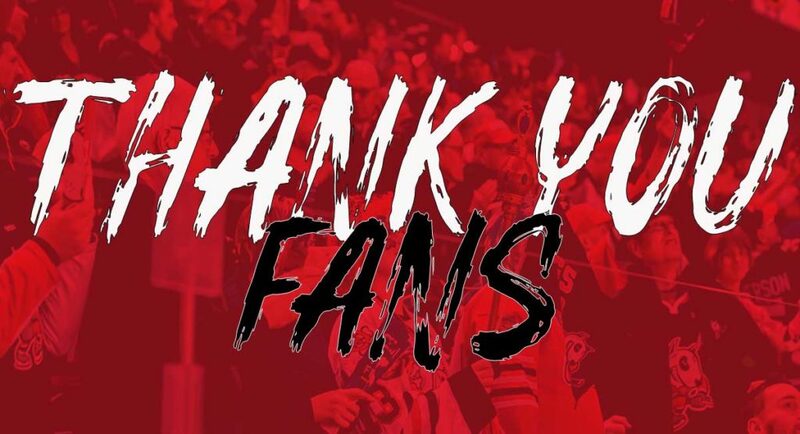 To get your tickets for our 2019 Eastern Conference Quarter-Final series against the North Bay Battalion, visit our Business Office, call 1-905-687-3641, or click here!